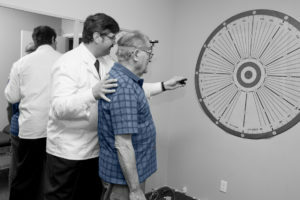 Ever wonder about the bulls-eye poster in the room of our Physiotherapist, Manuel? 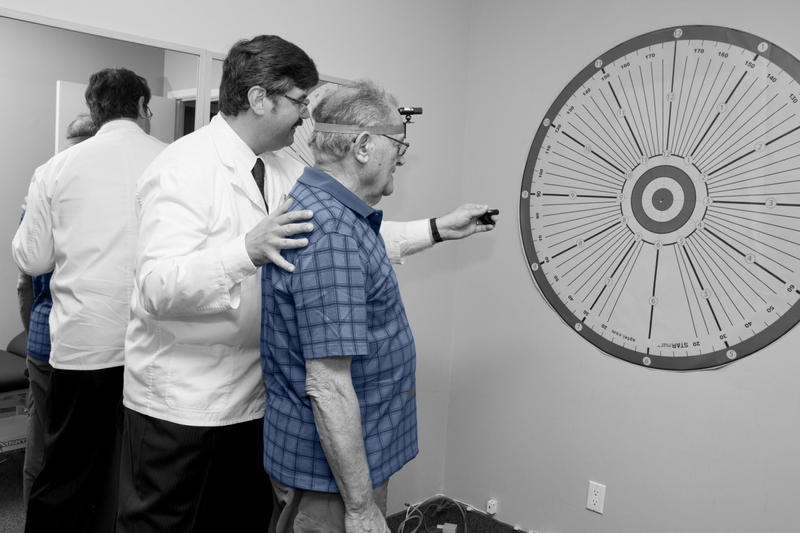 For neck and shoulder problems, a patient can follow the spokes and circles of the wall target with a laser device attached either to the forehead (for neck mobility issues) or to the wrist (for shoulder pain and mobility issues). The goal is to increase proprioceptive awareness (the awareness of the brain regarding the position of body segments) and to increase the range of motion. The floor mat, having specific markings for foot positioning, can be used for assessment of the general lower limb mobility and also for training purposes. Clients may find specific movements challenging and training those movements helps improve the function of that body segment. Training with your Physiotherapist can lead to a less pain and better mobility.